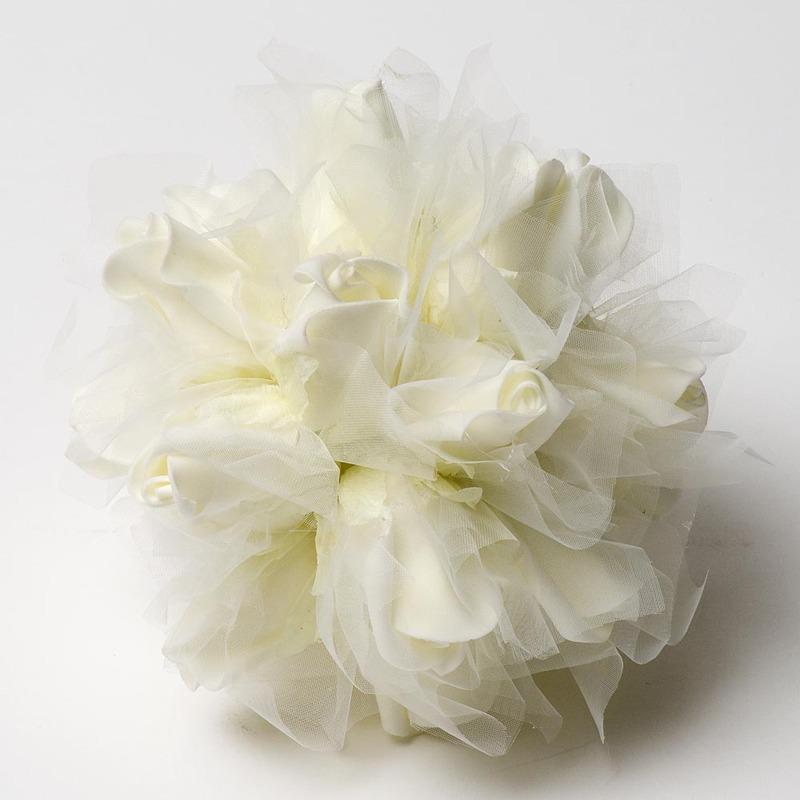 DescriptionSmall white pomander of poly foam roses and organza.This pretty pomander is ideal for bridesmaids or looks stunning as a table centre piece placed on top of a large vase. Size approx 17cm diameter. Small white pomander of poly foam roses and organza.This pretty pomander is ideal for bridesmaids or looks stunning as a table centre piece placed on top of a large vase.